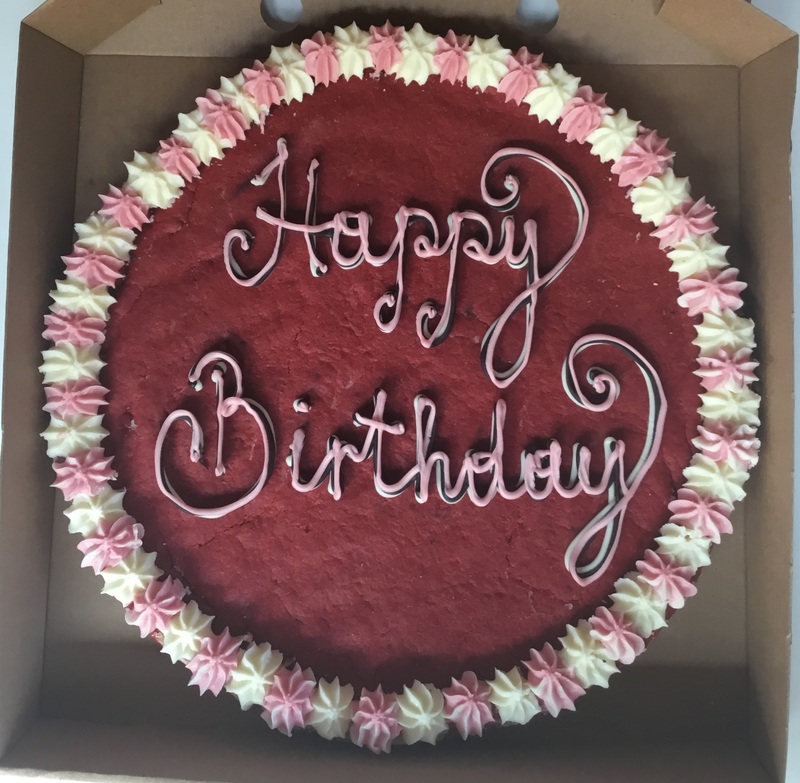 No matter what the occasion, celebrate in style by adding a hand iced message or have your favourite picture printed onto a giant Ms. Cupcake cookie! Orders can be collected at our Brixton shop or we can arrange delivery within London with one of our partner couriers. 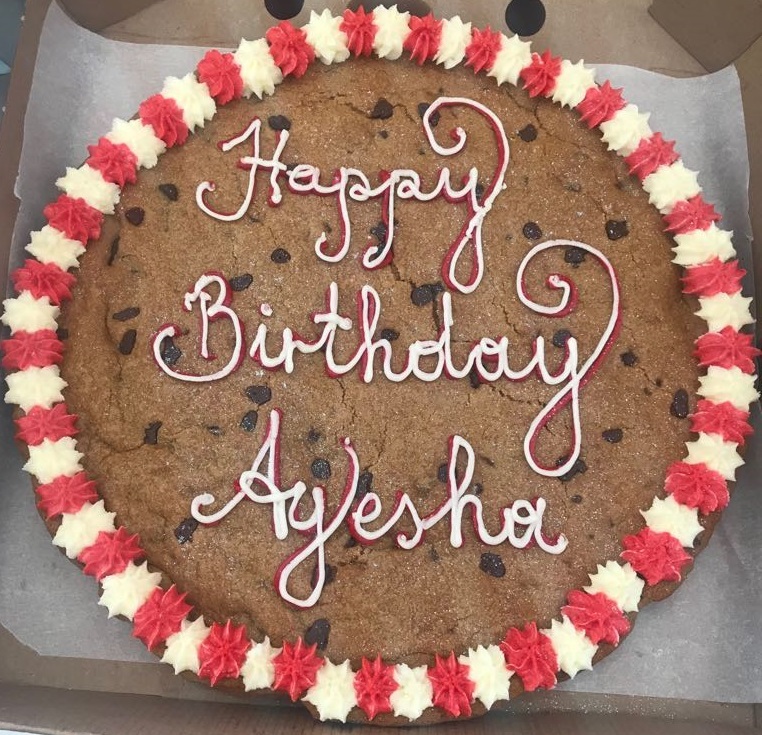 To place a cookie order, fill out this online form here: form.jotformeu.com/mscupcake/giant-cookie-order-form. Alternatively, please send an email with your order details to info@mscupcake.co.uk or call 020 3086 8933 and select option 3. Our office is open Monday-Friday from 9am-5:30pm. Once we know the details of your order we can send you an invoice to safely pay online. All orders must be paid for in full at least 5 days in advance of collection/delivery. Looking for a London delivery? We have three delivery time slots for you to choose from: 9am-1pm, 12pm-4pm and 3pm-7pm. View delivery charges by clicking here!